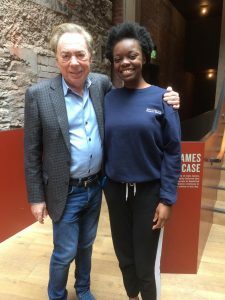 The cast and crew of the School’s New Plays in Rep production, Mr Maglump, were thrilled to meet Andrew Lloyd Webber on Saturday 16 March, who had made a special trip to Bristol Old Vic to watch the new show. 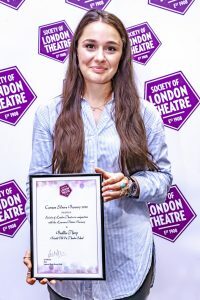 Drawing on the School’s close relationship with the theatre, the New Plays in Rep Season is the latest collaboration between the two organisations, showcasing new writing developed through BOV’s Writers’ Department and harnessing the School’s emerging creative and technical talents. In total, the season saw two fully-staged productions and four workshop pieces with a lighter technical touch performed at Bristol Old Vic. From settings as diverse as an isolated Cornish fishing village to 1950s small-town America, the season raised timely questions about mental health, exploitation of the environment, identity and abuses of power. 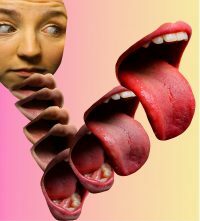 Mr Maglump, a new family musical for all ages, focused on themes of integration within communities and the importance of remaining true to oneself. The story follows a small family, the Robins, living on Chipson Street – where everybody does everything together – as they discover that their rather miserable neighbour has a rather wonderful past and story to tell. Andrew is reported to have enjoyed the show immensely and generously stayed behind after the show to meet with the Maglump team, including staff and students from the School. Writer of Mr Maglump, Brook Tate, later commented on Twitter: ‘Thank you so much @OfficialALW. Your music filled my head, heart (and shower) for the majority of my childhood and teenage years and I wouldn’t have done this without it. Eternally grateful’. further information about the Writers’ Department, including the annual ‘Open Session’, through which the script was developed.